Travel through the great peaks of The Titans is not a matter for the faint-hearted or the ill-prepared. The events in The Promised Land highlight how cautious parties making the journey are. However, for many people in the tainted borderlands of Alberetor the journey represents their final hope, the last gasp. Most of those who commit to travel north do so with full recognition that Ambria represents both freedom and a shackle – survival comes at a cost. While this section refers to travel in the outskirts of Davokar, the very same words apply to traversing the severe slopes and crumbling paths of The Titans. The great storms rising out of the corrupted heart of Alberetor seem to keep the mountains in eternal shadow, dulled by low clouds, savaged by high winds and raked by cascades of icy snow. Travel slows to a crawl, whether on foot, mounted or hunkered down in the back of a cart. The rough terrain, inclement weather and uncaring weather mean that a day’s march will return a rate of between 2 – 5 kilometers per day (roll 1D4+1 to determine the maximum range covered in a day of uninterrupted travel). Anyone travelling through The Titan’s can attempt to double movement rate with a Forced March, but it attracts the same penalties and tests as a Death March. The conditions make an actual Death March (tripled movement rate) impossible. As referenced in the description of Ambria, most who live to the north stay clear of the borderlands. 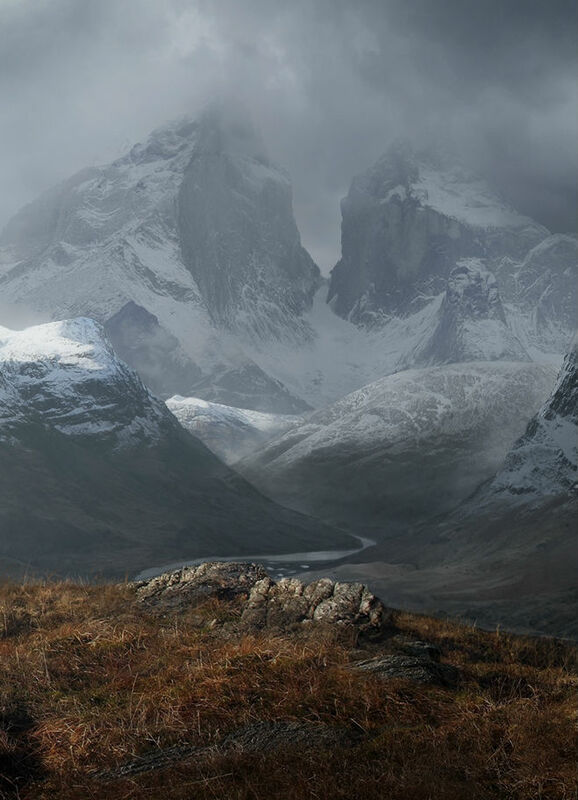 Not only do the weather and terrain serve to test travellers to their limits, but the weaker management and guardianship of the borders leave travelers open to harassment from robbers, beggars, wild animals, elves and the undead. Worse yet, the mountains also offer sanctuary to the few remaining extant members of the Jezora clan, thought wiped out when Lindaros fell to the steel of Korinthia’s army. I plan to take the time to hex map out the region covered in The Promised Land (see map, page 258 – 259). While it might seem quite a narrow gap in the mountains and might under better conditions on good terrain be little more than a half days journey – The Titans do not give ground so easily. Worse case, you could be stuck in there for a week and that doesn’t account for the time spent dealing with bandits, scouting for supplies or rooting through ruins of bygones ages.